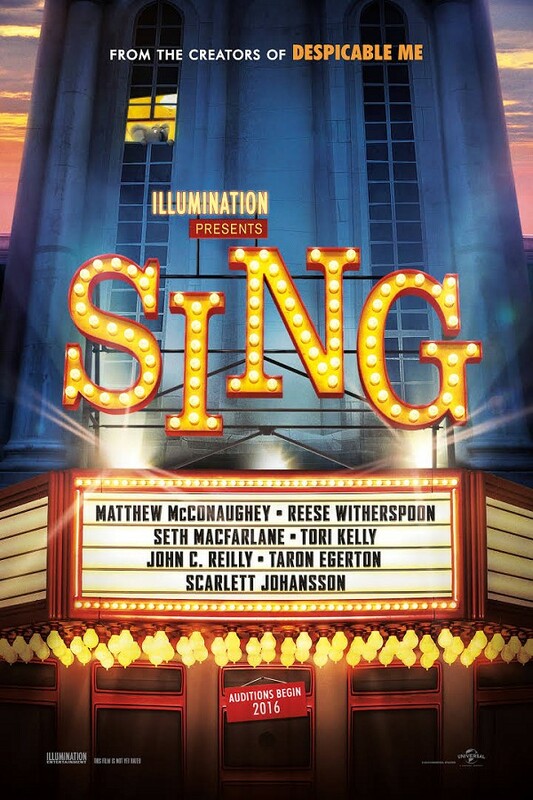 "Sing" is a cute movie. Good story, good music, good voice acting. The music is good and varied. It features all or pieces of over 85 hit songs from the 1940's to the present. Matthew McConaughey is Buster Moon, the owner of a once-grand theater. He needs to make a big splash so he holds a singing competition. Some of the other actors who fill out the voices are Reese Witherspoon, Seth MacFarlane, Scarlett Johansson, John C. Reilly and Jennifer Hudson. The plot is enhanced by the background stories of the main competitors.